There are lots of Spot the differences picture puzzles on internet. These puzzles are very easy to solve if you know the merge pictures technique to solve spot the difference puzzles. In today's Spot the 5 Differences Picture Puzzle, two given images are mirrored Copy Images of each other. Merge technique for Spot the Differences puzzles cannot be applied on this puzzle. One has to use its observation skills to solve this puzzle. Lets see how many differences you can spot without looking at the answer of this picture puzzle? 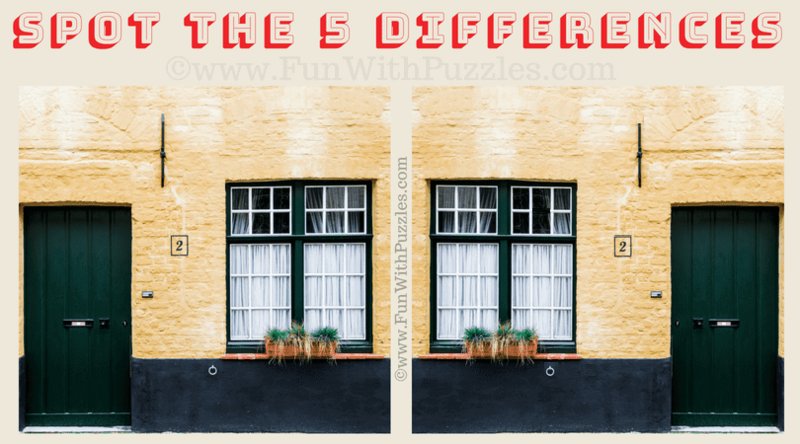 Can you spot the 5 differences in these puzzle pictures? 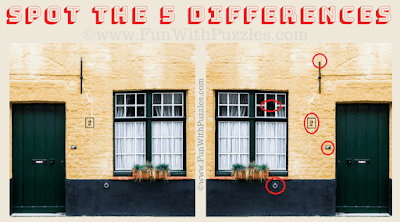 Answer of this "Spot the 5 Differences", can be viewed by clicking on button. Please do give your best try before looking at the answer.